Reputation or goodwill is known to make or break the business. 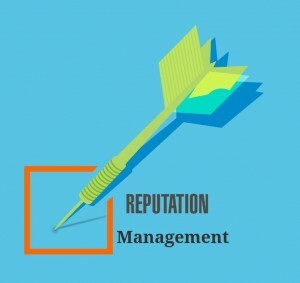 However, where the entrepreneurs and the business owners are wrong, it is in their consideration of thinking that online reputation management (ORM) is similar to risk management. This is completely wrong. Reputation management is not a crisis that you deal with as it comes; it is a process of maintaining trust with your customers — potential and regular. When rightly used, it can generate great profit for your business. What is Online Reputation Marketing? In the 21st century the technology is a bane as well as a boon. The generation of today does not buy anything without reading everything about it. This means that the advertisement through the word-of-mouth is not applicable locally but nationally as well as internationally. Thus, it is necessary for the business owners to have a strong online presence to help them create a brand and get maximum sales. In the online world, the word of mouth gets done through the reviews that are left on Google, Yelp and other platforms. A lot of bad reviews on these platforms might decrease your customers significantly and good reviews can increase them. Before you think that I have got no time for it, think of this – investing your time in your business to increase the sales and profits. While there are unlimited number of platforms where the reviews are placed. The two most famous and common are : Google and Yelp. You don’t have to look for each and every comment ever posted but check the most recent one and reply. Thank the good and the bad reviewer for taking out the time to review your business. Focus on the bad reviewer. Ask them what went wrong and you can better your service. Remember, tell them that you are sorry that they had a bad experience. This will show to your customers that you are open to their criticism and will make an effort to improve the service. Next tip by our expert is not to get upset or angry. Embrace them. Be open to the fact that the people will review your business. To get more reviews and build a base, you can email your existing clients and customers to review. Do NOT entice or force them for a positive review. This will do you more bad than good. You can also opt to create a page of your business on facebook and ask the customers to review you there. Want to get online reputation management done for your business? Call our experts for online reputation management in New York today! At Soft System Solution, we focus on providing our clients with best service possible. We are a leading IT company offering web services to numerous small and large organizations around the globe.